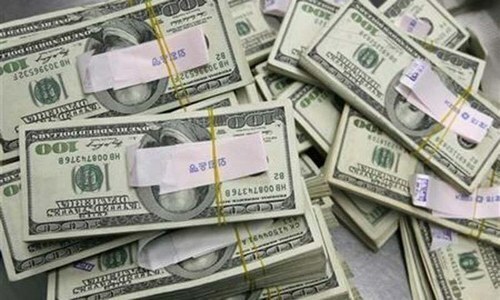 ISLAMABAD: The government is set to introduce on Wednesday (today) key amendments to the Anti-Money Laundering (AML) Act 2010 and the Federal Investigation Act (FIA) 1974 as part of the Finance Supplementary (Second Amendment) Bill 2019 to comply with the requirements of the Financial Action Task Force (FATF). According to Dawn sources, Finance Minister Asad Umar will brief the federal cabinet on the supplementary finance bill, explaining the reasons and targets of reform packages for various sectors of the economy including small and medium enterprises, agriculture, industry, housing, stock market and exports. The sources added that various changes to laws and regulations had been under discussion for months to address shortcomings related to terror financing and money laundering, but did not materialise for various reasons. Now the government has found an easier legal course in the form of a money bill 2018-19. Most of the changes would be made in the FIA of 1974, AML Act 2010, and the related tax laws to facilitate inter-agency coordination and investigations. The amendments, which had been finalised by a committee led by the finance minister, refer to all related agencies working on matters relating to FATF that put Pakistan on the grey list last year for not ‘doing enough’ to meet UN resolutions against organisations purportedly involved in terror financing and money laundering. These sources said that money laundering would be defined as an offence for which bail would not be available, and a crime punishable under various clauses of a series of laws. 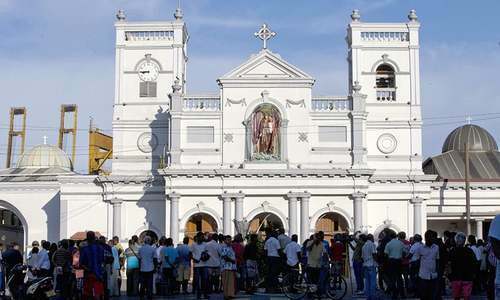 The punishment for those involved in the illegal transfer of funds is being enhanced under the new money bill to three to 10 years, from the existing maximum imprisonment clause of a two-year term. 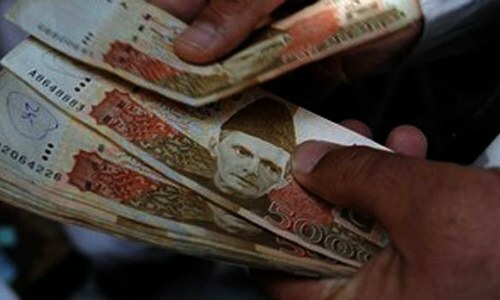 The fine, an official explained, was also being increased from Rs5 million to Rs50m for a director of an exchange company found involved in money laundering, hundi or hawala business. Likewise, the properties of such persons would also be attached as case property for six months instead of the 90 days under the existing laws. Further, a new section in the proposed money bill would also extend the jurisdiction of FIA to the whole of Pakistan, including new tribal districts recently merged with Khyber Pakhtunkhwa, in accordance with the provisions of Article 247 of the Constitution. Some changes are to be made to the Foreign Exchange Regulation Action of 1947 to improve the powers of the State Bank of Pakistan and limit the transportation of foreign exchange and local currency within and outside the country. Under another proposed section, various tribunals dealing with money laundering, tax laws and hundi and hawala, etc, will be required to complete their business in six months’ proceedings in cases referring to illegal financial transactions, including the sale, purchase and transmission of money and other instruments, including minerals. The FIA will be given permission to seek information regarding financial transactions from banks under a well-defined mechanism that does not allow low-grade FIA staff to misuse power or information. 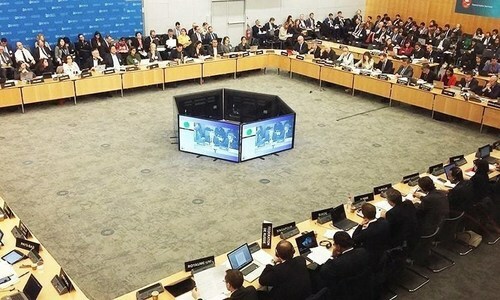 At a review meeting in Sydney, Australia, earlier this month, FATF had generally shown satisfaction over Islamabad’s efforts and its roadmap against money laundering and terror financing. Pakistan had assured FATF of compliance with steps planned in the next review, scheduled in Paris on February 17-18. Another onsite inspection of Pakistan’s performance will be due in May. During the May and September meetings later this year, regulators and law enforcement agencies will be expected to demonstrate results in the form of investigation, prosecutions, convictions, supervisory actions, sanctions with resulting impacts on compliance by financial institutions, implementing cross-border currency and border controls, and the enforcement of a regulatory regime at the borders. In June last year, Pakistan made a high-level political commitment to work with FATF to strengthen its anti-money laundering regime and to address its strategic counterterrorism financing-related deficiencies by implementing a 10-point action plan. The successful implementation of the action plan and its physical verification will lead FATF to remove Pakistan from its grey list or else move into the black list by September 2019. In August last year, Pakistan was found deficient on anti-money laundering/counterterror financing laws and mechanisms. The authorities are required to upgrade agencies and their human resources to be able to handle foreign requests to block terror financing and freeze illegal and targeted assets. By the end of September next year, Pakistan has to comply with the action plan it committed to with FATF in June. Great news, now benami will see an end and will help to improve on financial flows through legitimate channels. Money laundering and that too in a country that claims to be religious. People don't remember religion when they engage in money laundering. Make it punishable by law and then you will see that people will learn to work hard, they will avoid chasing money and learn to be thankful for what they have, instead of being ungrateful for what they don't have. The murderers can get the bail in Pakistan, but a poor worker who try to send money through Hundi to save some transactional costs will now land in jail and that too in an inbailable offence. Third budget in a year, another record in Naya Pakistan! Implementation of the law is more important. This will help the economy and growth of the country. Good job, hope it's enforced rather than used to settle scores with political opponents. That is good, but most important thing is to make it easier to convict the money launderer. With the current system, it is very difficult to prove the offence in the court of law. @Kamal, Looks like a relative of Zardari. Demonetize currency notes above the denomination of rupees 100, monry laundering and corruption will be reduced to quite an extent. Hoodwinking will not work anymore, as it did before. Let's see who will be taken into custody for money laundering. The very first UN designated comes into my mind. This is very mandatory step to avoid further economic sanctions from International body. @Prateik, Sudesh, Prithvi — MIND your own business you trolls!! India is so bloated with false ‘success’ it will be just right when the house of cards collapses. Atleast someone is trying their best , to introduce these laws after 71 years of Pakistan ! Excellent. See to it its implemented. We have suffered alot. Good decision by PTI government. @Kamal, What is wrong with that ? "When the MUSIC changes, so does the DANCE" ! @Sameer, Solution is very simple - " Get the economy documented". Use the available technologies and minimize the payments in CASH. @Tamza, Just dont play double game, be honest. the opposition wont let this law pass as they themselves are involved... good move by the govt as now their face will be exposed if they try to block this law !! 2nd budget of the year, what a performance by PTI. I would never vote again for PTI. Too little, too late. In fact, irreparable and irretrievable damages to the name and reputation of the fertile land and 225 million hardworking and patriotic people of the Islamic Republic of Pakistan have already been effected by crooks, cunning and corrupt people like Zardari, Chaudharies and the Ittefaq group. This should have been done years ago - it would have prevented looting of the nation by people like NS and Zardaris. Offenses such as plundering the nation, fake accounts, fraud, deceit and concealment of looted wealth should also be made non-bailable offenses. AAZ are you payign attention?? Reforms are not good enough. Punishment for money laundering, hawala, hundi must be more strict. This should include confiscation of properties and imprisonment of at least 10 years. About time. In today's Pakistan money laundering should be in par with treason. @Awan, your leader NS and his family used every known tool to launder money and accumulate their wealth abroad. @Still Concerned, but who wold do the laundry.. If there were a category in the Olympics for money laundry, my people would have been a gold-medal winner. Pakistan need to review its "Banking Law", learning from PRC. Irrespective of the amount ( small 3 figures or big seven figures), no transactions take place in CASH between commercial entities / their bank accounts. Such payments ( company to company account ) can only be through Bank Transfers, and unless the Bank is "satisfied" ( reviewing the supporting documents) no money transfer transaction can take place. In case transferring Bank is negligent in its due diligence and authorizes a "transfer transaction" , it has criminal "liability".Banking officials approving / authorizing loans without an adequate collateral( as per policy) are liable under "Criminal Law" of PRC and such offences carry considerable prison terms ! Wish come true... only talks..
great move, but think ponder and plan about doing something which make the society more just, honest, hardworking, positive, better person.